As a matter of fact, I am. 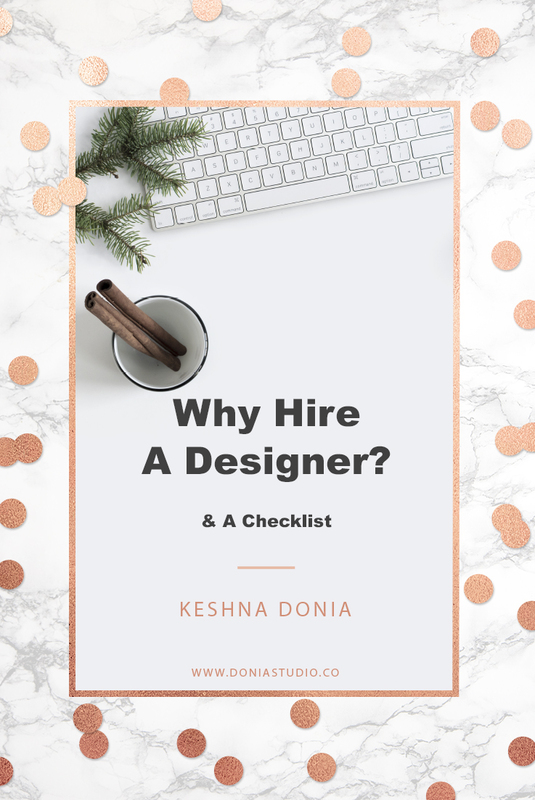 However, I have very good reason for partnering up and hiring a designer to take care of a few things that I was stalling on for far too long. As a designer, it's my job to focus on finding the solutions that my clients bring my way. However, when designing for myself I had to use two sides of thinking. I had to be the client by presenting the issues I was looking to resolve and the designer to find and create the best solutions. While the designer self-knew everything that needed to be done the client self-kept getting in the way. I kept changing my mind, changing templates, changing ideas - and at the end of the day that is not the best way to work. I realised I was too emotionally attached to the product and I wanted it to be perfect. I made layout, after layout, wireframes and sketches of what I wanted my website to look like. So much so that I wasn't focused on providing and creating the content that needed to get up and on the site. Working with a different designer helped me in knowing how to better treat my own clients in the future. I feel that I have learned a few new strategies and techniques that I can incorporate into my very own process. Whilst I have access to a community of designers, I was lucky enough to find someone who was using the same platform and understood what I was looking to do. We both have an interest in lettering and I've found that our values lined up and were similar as well. Working with a designer outside my self-gave me room to think logically, improve my own process, and not be so attached to everything. It reinforced my reason for starting donia studio in the first place. I help other small businesses and creatives that are in their early stages build beautiful yet seamless designs. Together we create, design and build through collaborations. Through my newsletter, I teach hand lettering. If you ever have any design questions relating to hand lettering drop me a line on my contact page. In the meantime thanks for stopping by donia studio.